Oliver Evans spent his youth spinning one tall tale after another until it got him over his head in trouble. Returning as an adult to his grandmother's cottage in Aberdaron, Olly is determined to put his past behind him and settle down. But the misty Llŷn Peninsula hides dangerous secrets. Olly is torn between the Longing, a powerful force driving him away from the only home he has ever known, and the growing conviction that the merman prince of his childhood make-believe is real--and in desperate need of Olly's help. 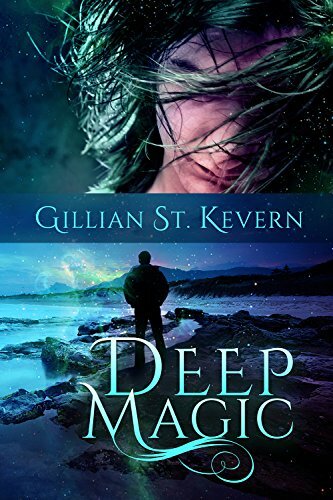 Written for the M/M Romance Groups 2015 Don't Read in the Closet event, Deep Magic is a free gay romance novel produced with the support and effort of members of the M/M Romance Group. A fantasy romance with a gothic bent, Deep Magic will take you deep into Welsh mythology and folklore, featuring the morgen, Welsh mermen, and the notorious water-horse, the Ceffyl Dwr. Deep Magic contains adult situations and should be read with discretion. The story began in Deep Magic continues in Morgen Curse and Morgen Song.